Education today has taken many twists and turns from education yesterday. From homeschooling revolutions to accelerated learning facilities, education is on the rise and many are researching new and more innovative methods to accomplish it. The question has been asked, What is Mindfulness? Here we will try to identify mindfulness and what it means in education. Students have the ability to focus on what they want, what the teacher is saying and then they have the opportunity to accomplish tasks. When students choose to concentrate they increase their odds of understanding and having the opportunity to ask questions. When students fail to concentrate due to distraction or other reasons, they frequently miss out on opportunities to ask questions and gain a new understanding of what is being taught. Students possess the ability to clearly know what they are experiencing in classroom and in life in general. When students aren’t focusing or concentrating in class they lose the clarity of the lesson that is being taught. Here students have the opportunity to develop a non reactive response or relationship to their experiences. They can learn to respond in lieu of reacting which in turn can alter the outcome of any given situation. When a student choose to respond to a situation rather than react, the student will be able to take charge of the situation and in many cases, create a better situation. By focusing on what matters the most they are able to improve their lives and those around them. These skills are very beneficial for at risk students. Students who are at risk frequently fail to graduate and they fail to stay in class and tough it out. By teaching mindfulness students are made aware of how their actions can alter the course of their lives. They can learn that each and every decision they make today, can affect their lives tomorrow. When teachers are taught how to integrate these lessons into their classrooms they have a higher success rate and a higher rate of graduation. 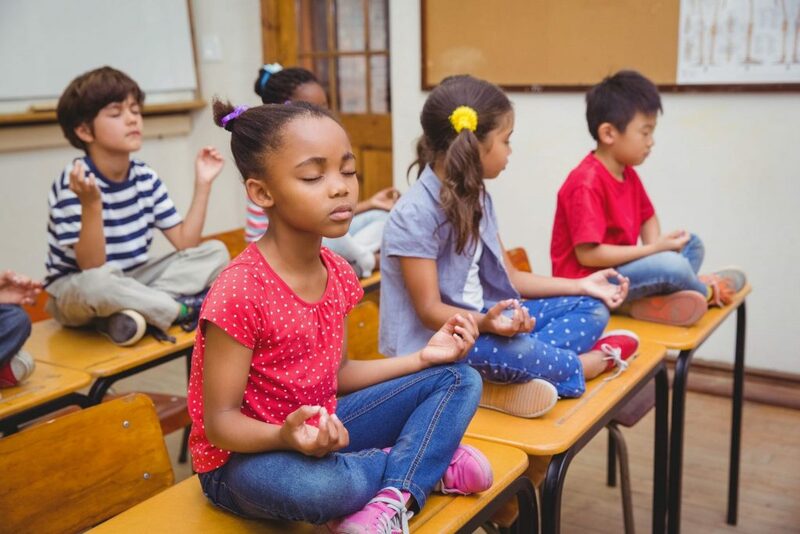 Many inner city schools are utilizing mindfulness in education today. It is amazing what one great teacher can do for a classroom full of at risk students. Often such students will return time and again to said teacher over the course of their education just to say ‘hi’. These are the teachers that make a difference in education. Without seeming to try, they often create an ideal atmosphere for learning and education. To further mindfulness, events such as ‘take your daughter to work day’, and ‘equal pay day’ all remind students and employers alike that being mindful of what is going on around us, is often tantamount to success. Mindfulness is not just a way of life, it’s a lifestyle that should be incorporated into life at a very young age. A good example of this is schools that are experimenting with incorporating such programs into their educational curriculum. These programs will help to incorporate lower stress levels in students and teachers alike. Such programs, like that which Patterson High School is considering, have to adopt such programs into the daily schedules of their students. Here students are given the opportunity to add in a 15 minute yoga mindfulness program when they begin and end the school day. The goal of these classes is to release stress and set the slate for a clean and smooth learning experience on a daily basis. It’s rather like mentally preparing oneself for a job interview or an event that will be pivotal on ones life. To make it even better, schools are adapting such programs to be available at a variety of times throughout the day in addition to the beginning and the ending of the day. Per the Holistic Life Foundation, or HLF as they are often referred to, high schools with high risk students may have a graduation rate of only 86 percent compared to the students attending the classes. Before the program was implemented, the student body of 1,100 had only a 60 percent graduation rate and at any given time 60 percent of those students were absent at least 20 days each year. With the HLF program, they are hoping to improve those statistics and help more in under served areas where this number continues to alarm educators and parents alike. According to studies, mindfulness in schools will also help to lower stress in teachers as well. It can improve happiness in students and has been shown to improve brain activity in regions that are frequently associated with negativity. Education today has come a long way from the one room school house where the teacher thumped the ruler across the student’s knuckles.